We currently have a large selection of new redi rack style uprights in stock. We carry both standard and bolted frames. Depth currently available: 24", 36", 42" and 48"
We can also order new pallet racking to meet your needs, if required. We offer a full-service package with new pallet racking which includes: Consultation, Design, Supply, Project Management, Install, Certification, and Maintenance. Please send all inquiries to us via the quote request form below. We can supply new pallet racking for small industrial units and warehouses. 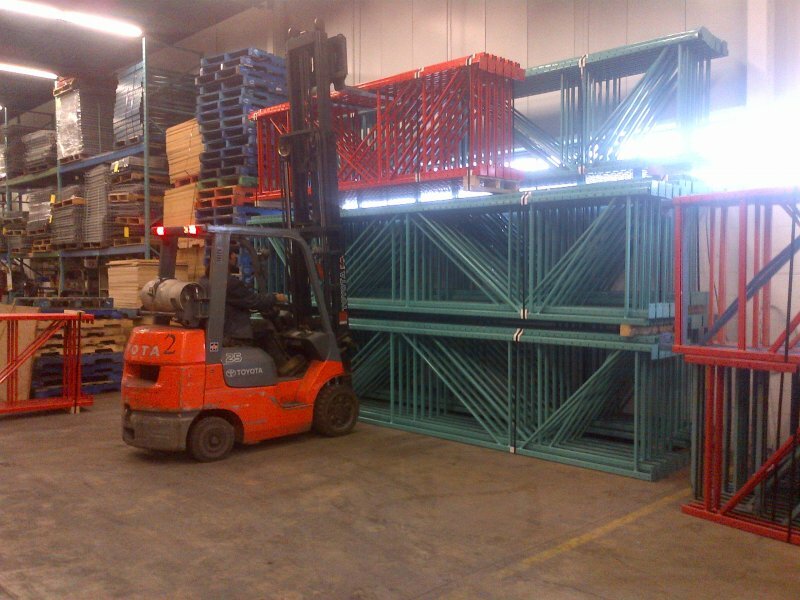 We also specialize in pallet rack supply and installations for large distribution centers. Are you moving to a new facility and plan to buy new pallet racking? We can supply new pallet rack and buy back your old rack and use it as credit towards your new pallet racking!